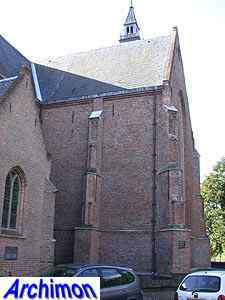 In 1463 a fire destroyed much of Asperen, probably including the church, which stood at the same location as the current church. 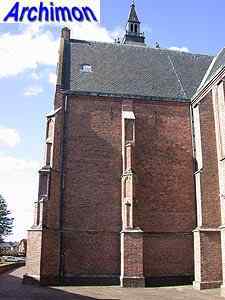 A buttress of the old church was found in 1978, during a restoration. 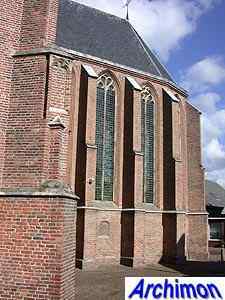 Today's church certainly appears to have been built after 1463. 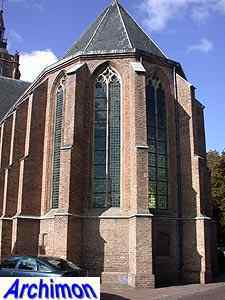 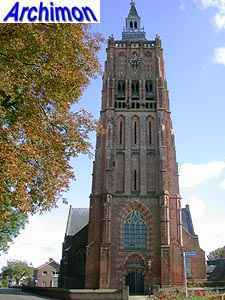 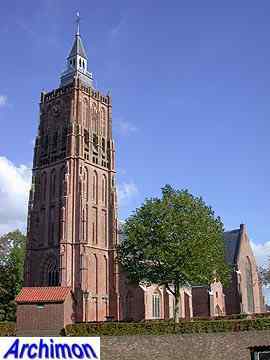 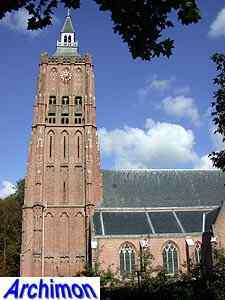 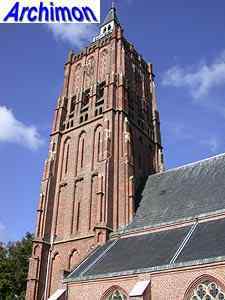 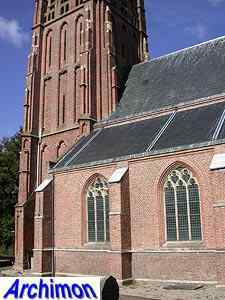 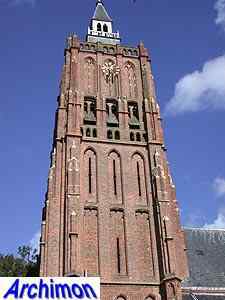 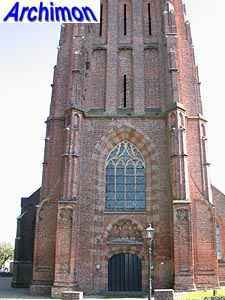 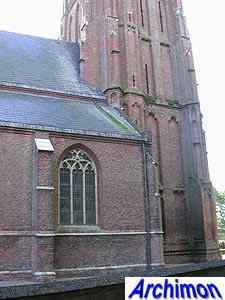 The tower is in Campine Gothic style and is strikingly similar to one of the highlights of that style, the tower of the St. Petrus in Hilvarenbeek (NB), which was completed in ca. 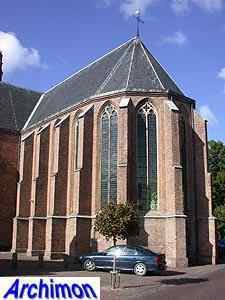 1455. 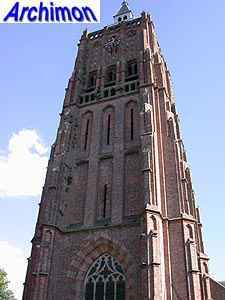 The only major difference is the spire. 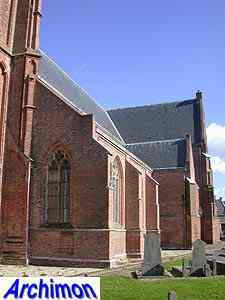 The rest of the church shows similarities with churches in the Campine region as well. 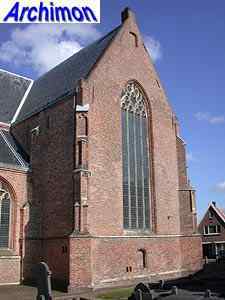 Like the church in Hilvarenbeek in its original shape, it's a cruciform pseudo-basilica. 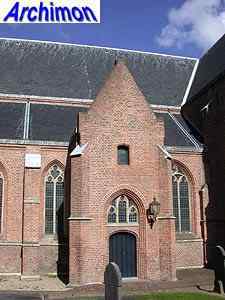 The overall shape of the church hasn't changed ever since it was completed. 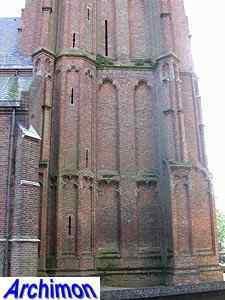 It was damaged by fire several times, but each time it was rebuilt to its original shape. 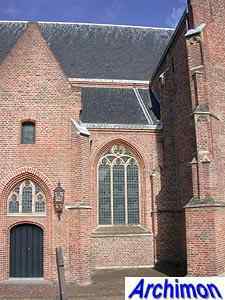 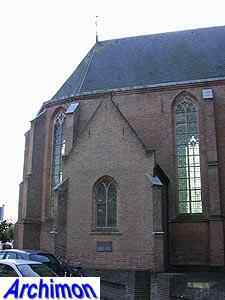 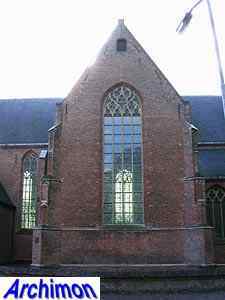 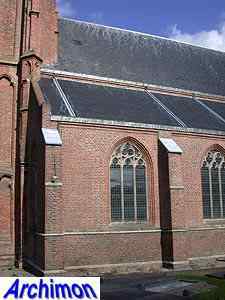 In catholic times the church was named St. Catharina. 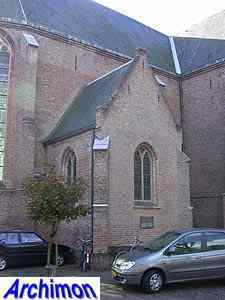 Another name was Buurkerk, or citizens church. 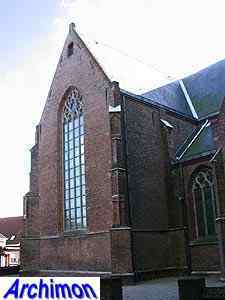 The church was catholic for little more than a century. 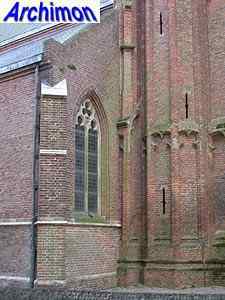 In 1566 the Reformation began with iconoclastic riots. 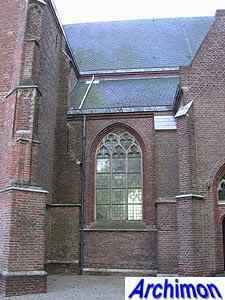 The riot in the St. Catharina was organized by the lord of Asperen, who had hired some criminals from the town of Culemborg to do most of the work. 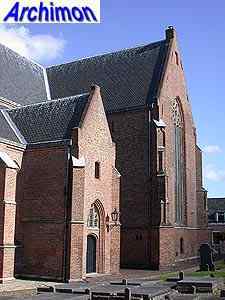 The interior was completely destroyed and the church was handed to the protestants, who kept the church ever since, apart from a few short periods until 1577, in which it was returned to the catholics. 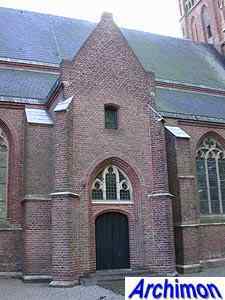 After 1577 all catholics either left Asperen or became protestant.